Mlade Rooms is near the center of city Split.We are near the old part of town which is popular because of the Diocletian Palace old 1700 years protected by UNESCO. Near us are popular beaches sandy and rocky,bars,supermarkets,banks,ATMs,change-offices,restaurants,fast foods,discos,drugstores,mail-offices etc. with small churches that are old several centuries and are cultural monuments. Mlade Rooms offers large decorated rooms with large windows with a beautiful view. 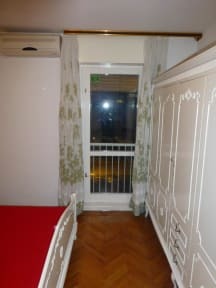 In every room you have:fridge,map of the city center,cable TV with a lot of programs,internet, air-conditions,clean towels,clean linen etc. You have large bathrooms with:fen,shower,toilet etc. We can come at the Air-port for 34 euros. When you arrive at our accommodation I can show you,help you in any ways etc. Please avoid people that offer their rooms at the bus station. If you need any help at all send us a e-mail or call us. In front of Mlade Rooms you have a free parking. The biggest advantage of Mlade rooms is secure big private parking infront of the building. Also the hosts are helpful and rooms are spacious and clean. To There are few stops with the bus to get to the old city centre but you can also take a walk. As always it was a nice stay and we really enjoyed it. The host was verry nice, and the facilities clean. The biggest advantage of Malde rooms is big private parking place in front of the building, while there is almost no option for parking in Split. The rooms are clean and tidy, with air conditioning, fridge, TV. The owners are kind and ready to help and make you stay confortable as much as possbile. There is about 20 min walk to the city center but if you decide not to walk there is a bus stop just behind the building. It is very convinient if you arive to Split by car as there is big private parking place infront of the building. It is located 20 min wlk from city centre or you can go there by bus as bus station is right behind the bulding. Hosts are very kind and prepared to give you tips where to go, eat etc. Rooms are clean and tidy with private firdge, air conditioning, TV and wi-fi. It was our second staying at Mlade rooms and I higly recommend tha place to everyone. Great room and staff were very lovely and helpful! Only a bus away from Split town and great value for money. It was a bit hard to find the pace initially and the location wasn't the best. However Marcel told us which bus to take and it was very easy to make it into the city centre. Marcel was a fantastic host and helped us by talking to the airport about our lost luggage, and even managed to get them to drop it to us! Overall great stay would recommend. the host could not have been nicer or more helpful but this place really isn't a hostel. its much more of an air bnb. 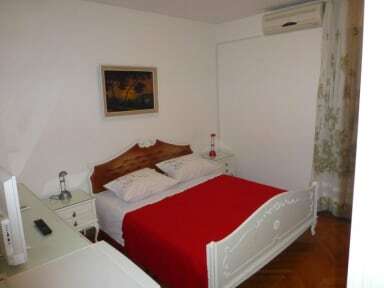 it is perfect for passing through split as it is out of town so quiet and ample parking. the bed was comfy and the shower was good. it was clean and had a TV, washing machine and fridge. a kettle would have been nice though! Nice place. The host is lovely and very informative. Don't judge it from the outside, the inside is lovely. It's not a hostel so if you're looking to meet people, this place isn't for you. It's suited for couples. It's located a 25 min walk from the main town. The host was super friendly and helpful as well as available when you needed him. The room was nicely air conditioned and relatively clean. The curtain on the window was sheer so it didn't block much light in the morning. On a down side the place smelled quite heavily of cigarettes. Walking into town was too far but it's very easy to to take the bus. When you arrive it looks like an apartment with no indication that there is a hostel room so we thought we were at the wrong place! Overall OKAY.